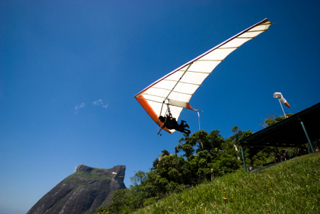 Hang gliding is one of many adventure sports you can practice in Rio. Photo by Eduardo Leite. Are you looking to do sports and surfing in Rio? On this page I will give general description about these activities. Rio de Janeiro is famous for beaches, beautiful scenery, an easy lifestyle and body culture. It comes as no surprise that the Carioca loves sports and other physical activities. On the beaches you have volley ball players, gymmers, joggers, surfers and football players. On the streets you have skateboarders, cyclists and runners. And not to forget, in the forests and on the hills, climbers and hikers. Rio offers so many opportunties to practice outdoor sports it is almost ridiculous. I have written many pages on the topic sports and surfing in Rio, in order to make the content easily available I have had to organize it in to sub-sections. Under each one of those you have links to pages with more specific information on that sport or activity, often with links to great resources or shops. It is many times quite detailed and hands-on. If you would go to my Surf in Rio section you would find links to texts that describe a bit about history and culture, where you can buy boards and of course some proper advice about surfing in Rio. There is also info about kite surfing. You find many pages here, some of them include activities that perhaps is not considered sports (like yoga and dancing). Scuba diving, tennis, Jiu-jitsu, beach volley, swimming, running and skateboarding are examples of sports described here. Go to the page Sports in Rio by clicking this link. 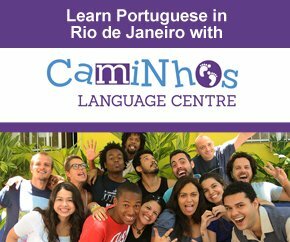 The possibilities for these activities are plentiful in Rio de Janeiro, if you include what is available around the state it almost never ends. In this section I have pages describing some of the best hikes in the city with hands-on tips. For climbing I have provided som general info together with some useful links. Check out my Climbing and Hiking section by clicking here. My Dutch friend Christine is involved in an activity I think is pretty cool. Sports activities are arranged so you can practice sports like football and beach volleyball when in Rio. I have had many people asking for this, particularly for those gringos either living in the city or those who are here on a longer term. 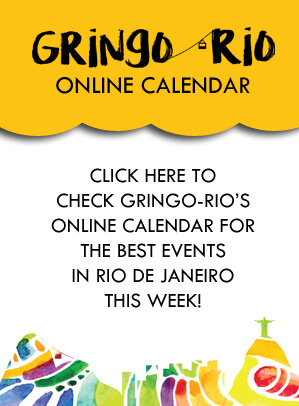 The site is Ativo Rio If you do check it out, please let me know what you think!